BriefCam, the 2018 ‘ASTORS’ Gold Award Winner for Best Video Analytics Solution announced at ISC East, the v5.3 release of its Video Content Analytics platform which introduces breakthrough capabilities to deliver a powerful and innovative approach to making video content searchable, actionable and quantifiable. BriefCam’s v5.3 includes highly accurate face recognition and extends its real-time alerting, search and quantitative analytics capabilities. Leveraging state-of-the-art Deep Neural Networks trained in diverse data sets for industry leading accuracy in face matching, BriefCam v5.3’s face recognition capabilities help streamline post-event investigations, support rapid response to situational changes, and derive richer operational intelligence for data-driven decision making. The addition of highly accurate, real-time face recognition capabilities to BriefCam’s already extensible video content analytics platform, organizations can further benefit from actionable intelligence for their situational awareness and operational agility initiatives. Leveraging state-of-the-art Deep Neural Networks trained in diverse data sets for industry leading accuracy in face matching, BriefCam v5.3’s face recognition capabilities help streamline post-event investigations, supports rapid response to situational changes, and derive richer operational intelligence for data-driven decision making. “BriefCam v5.3 further enables organizations to derive exponential value from their existing video surveillance system investments,” explains Trevor Matz, BriefCam president and CEO. When video is the first source you turn to for clues, no detail can be missed. Having breakthrough technology on your side helps rapidly uncover missed intelligence and accelerates the closure of cases. What can you solve right now? BriefCam’s unmatched detection and extraction accuracy dramatically improves post-event investigation productivity by pinpointing people and objects of interest with speed and precision. Additionally, by presenting objects that have appeared at different times within the video simultaneously, BriefCam enables the review of hours of video in minutes, dramatically increasing investigation productivity. BriefCam’s embedded operational intelligence platform utilizes the extracted and aggregated video metadata such as men, women, children, vehicles, size, color, speed, path, direction, and dwell time, enabling users to quantitatively analyze their video, derive actionable insights for data-driven safety, security, and operational decision making. BriefCam’s real-time alerting capabilities enable organizations to proactively respond to situational changes in their environment, while effectively balancing sensitivity, accuracy, and efficiency. Crowd management is complex, multi-faceted and ever-changing. Real-time analysis and rapid response is necessary for security and safety. Learn from one event then apply insights in the future. How can you decrease risks and be the apex of efficiency? Stephanie Weagle, BriefCam chief marketing officer, accepting the 2018 ‘ASTORS’ Platinum Award for Best Video Analytics Solution at ISC East. 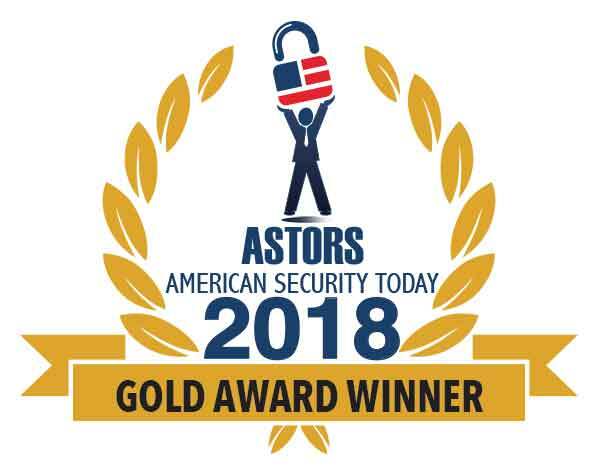 “We are honored to be recognized for our Video Content Analytics Platform in American Security Today’s distinguished 2018 ‘ASTORS’ Awards Program,” said Stephanie Weagle, BriefCam chief marketing officer. BriefCam’s award-winning products are deployed by law enforcement and public safety organizations, government and transportation agencies, major enterprises, healthcare and educational institutions, and local communities worldwide. By transforming raw video into actionable intelligence, BriefCam dramatically shortens the time-to-target for security threats while increasing safety and optimizing operations. To Learn More about transforming video surveillance into actionable intelligence, visit https://www.briefcam.com/ and for more information on BriefCam v5.3 click here.